Looking for a fun Chicago date idea that's sure to impress? How does sharing a bottle of wine while enjoying Chicago's sparkling skyline from Lake Michigan sound? Join us for our CHICAGO BY NIGHT! Cruise any Thursday or Friday evening (through September 1) or any Friday evening (September 8 - October 7) and enjoy a special date night offer: two tickets + a bottle of wine to share for $60 (retail $94)! 1. Wine. On a boat. Need we say more? 2. Learn a thing or two about the city as our lively commentators deliver tales of Chicago's epic buildings and unique history. Whether you're a local or a first time visitor, we promise you'll learn something new! 3. Snap a selfie with Chicago's skyline in the backdrop and make all your friends jealous. 4. Embrace the kid in you with complimentary neon light wands for every cruiser to help light up the night. 5. Gasp in amazement as you cruise beneath Chicago's towering skyscrapers from the unique canyon-like perspective of the Chicago River. Then pinch yourself as you feel so small cruising along Lake Michigan, gazing at the millions of beautiful twinkling lights that make up Chicago's skyline. It's a special experience and a memory you won't soon forget. Seeing Chicago at night by boat should be on everyone's bucket list. 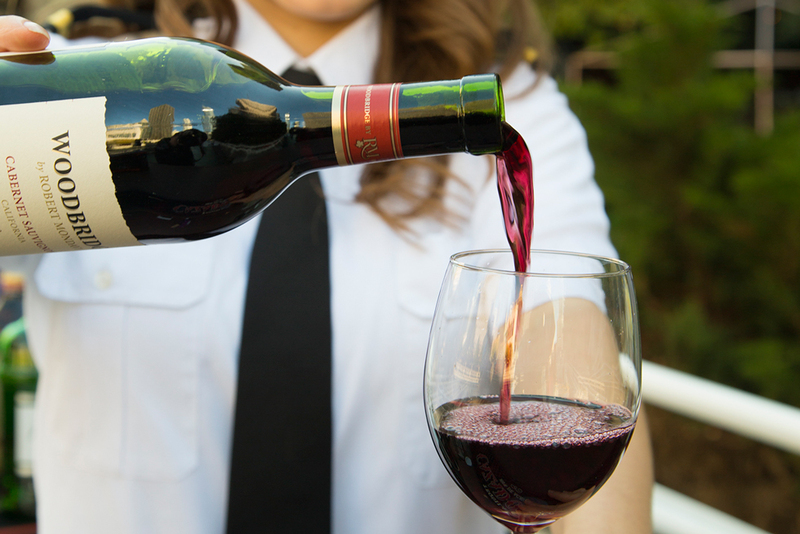 From a romantic date night to a fun girls night on the water, raise a glass to a memorable evening as you "wine down" the week with us!